During our visit to Royal Caribbean's recently launched Quantum-class ship Anthem of the Seas, a number of guests were allowed to visit the bridge to join a Q&A session with the captain. We were one of the lucky few to be allowed access. The bridge is a nautical term for where the ship is commanded. 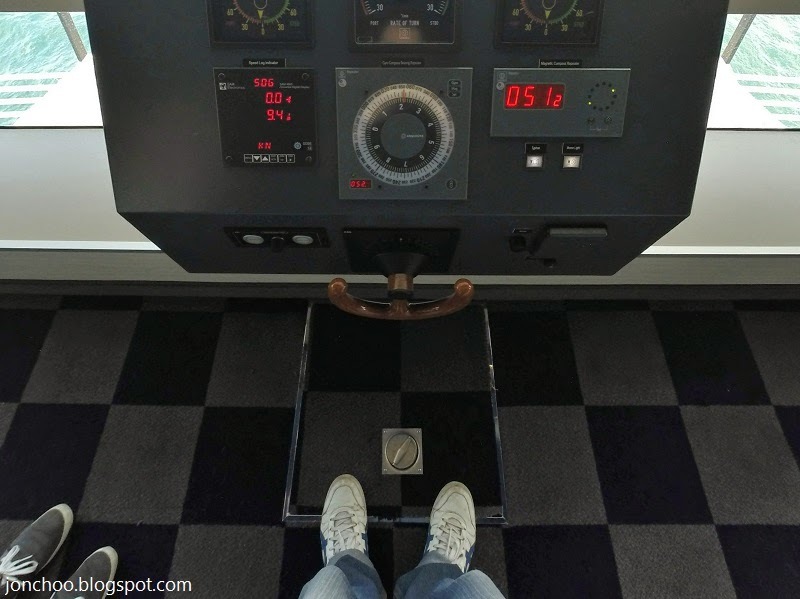 Typically, on a cruise ship at least, the bridge is located on one of the upper deck levels on the bow of the ship, and is strictly accessible to crew members only. On a Quantum-class ship, the bridge platform provides the crew members with an almost 360 degree vision across the ship. The Quantum-class cruise ships are currently one of the most technologically advanced cruise ships in the world. So it was important for the ship of this size (it is the second largest cruise ship class in the world) to get the bridge right. 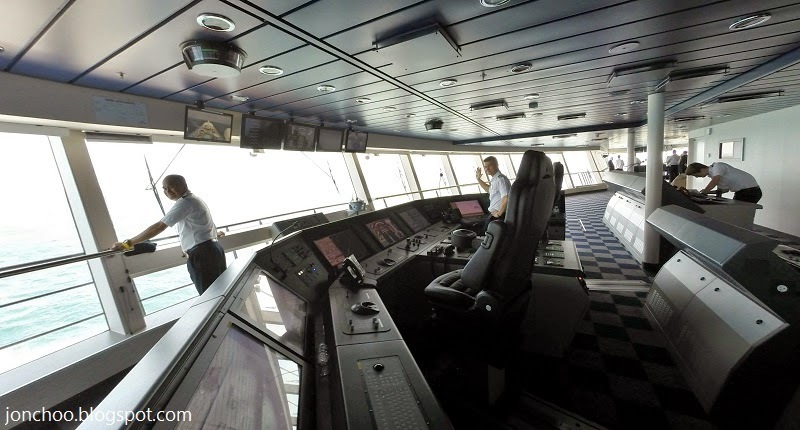 The bridge itself has been designed by Royal Caribbean captains to allow them more freedom to do their jobs. From the bridge, the navigational, security and day to day operation of the ship is performed, segregated in different rooms but always accessible. Cameras are also littered across the ship, allowing the security members in the bridge to monitor the daily on-goings remotely. With many layers of redundancies to assure that the bridge remained connected to the rest of the ship at all times. The ample space on the bridge and efficient layout made the bridge easy to navigate around. During our visit an emergency was sounded and two crew members rushed past us. From the sounding of the alarm to them exiting the bridge took all but a couple of seconds. Keep this in mind that they have thirty of so media members and minders loitering around. As I have never ever visited the bridge of a ship (the only bridge I've ever been on is the one on a canal boat! ), let alone a cruise ship of this size, I can't conclusively say it is the best cruise ship bridge there ever was, but I was still very impressed. 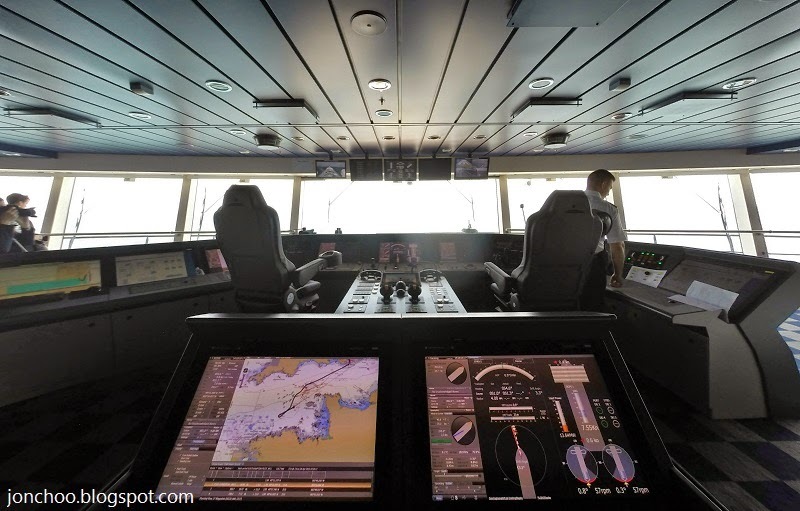 From the thoughtful layout, and the amount of comfortable space to work in (doubly important in an emergency), the bridge on the Quantum-class Anthem of the Seas ship matches the rest of the ship in its space and technology.